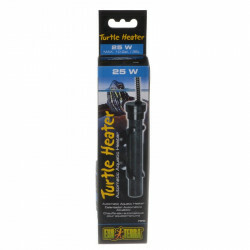 Cold-blooded reptiles require a large amount of direct light and heat in order to facilitate maximum circulation and keep up a healthy level of activity. This is why you'll often see wild lizards basking in the sun, seemingly soaking up a good tan. While natural sunlight works to provide all of the light and heat reptiles need in the wild, pet reptiles require artificial sources of heat for basking and general warming. 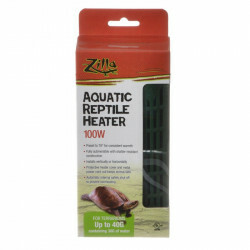 We have a huge selection of heating solutions, bulbs and accessories to cover the needs of any reptile pets you might have. Aquatic reptiles and amphibians, including aquatic turtles, frogs and newts, spend a large part of their time underwater. 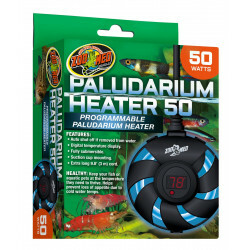 While an overhead heater or heat lamp is sufficient to keep the surface nice and toasty, these critters are often used to warm water conditions as well. 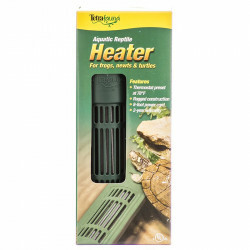 Submersible reptile heaters offer safe, efficient heating for your pet's pond. 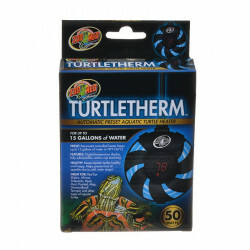 They attach easily to the sides or floor of any terrarium and radiate an ideal level of heat to keep the water perfect for optimum health and activity in your aquatic reptiles. Your pets can finally head on in - the water is fine!